Hear the difference! We love our new Wrangler, but the stock speakers in the overhead sound bar just don't cut it. 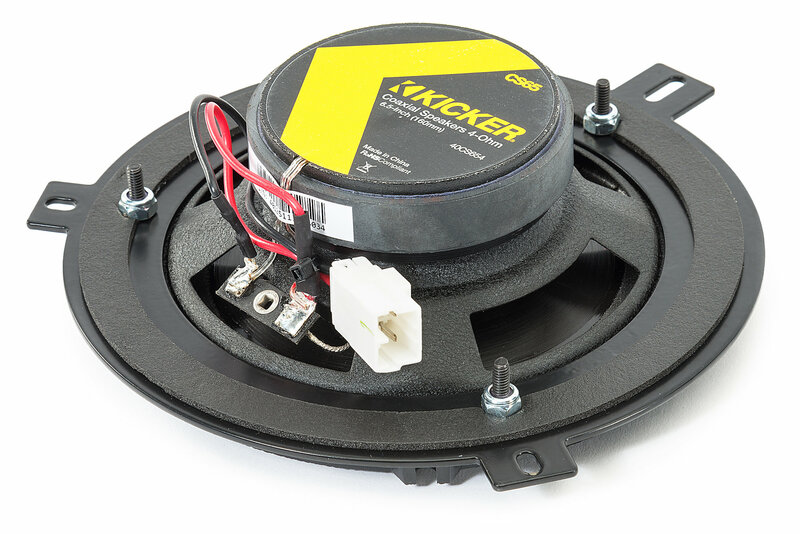 Replace the overhead sound bar speakers quickly and easily with our Kicker brand factory replacements. 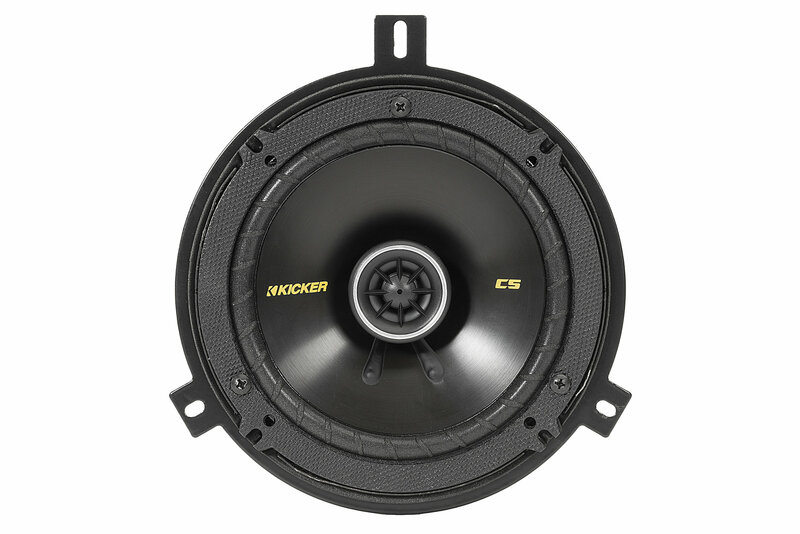 The Kicker Upgrade Speaker System is designed to be used with the Original Factory Grills, which gives your Jeep an O.E. look and provides maximum protection for your speakers. These Quadratec exclusive kits have custom frame assemblies and factory plugs for a 100% plug & play fit. No cutting, splicing, or drilling required. Installation takes only minutes with a single screwdriver. 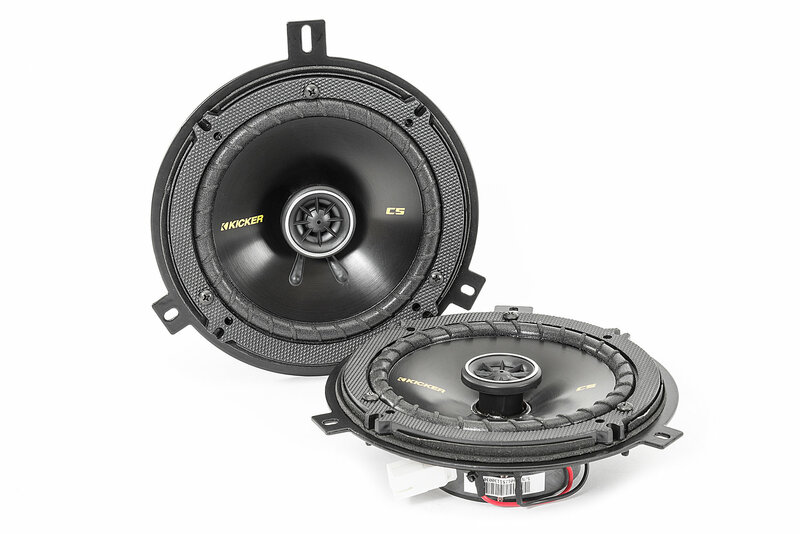 Kits include two 6-1/2" Kicker CS speakers with weather resistant polypropylene woofers, polyfoam surrounds, 1/2" balanced domed tweeters and detailed installation instructions. Great sounding, easy-to-install midrange and highs make all the difference in your audio system. CS-Series Coaxial Speakers and 2-Way System provide the cost-effective ammo to keep up with your bass upgrade. CS Speakers are the best value for serious, drop-in upgrades in your dash. The woofers bear a polypropylene cone, UV-treated ribbed surround, enduring voice coil, and an interior-pleasing fresh look. The half-inch tweeters take the performance cues of higher-end coaxials, using a super-strong neodymium magnet and PEI (polyether imide) dome for louder, better-sounding highs. *Original speaker grills can be used with original screws and clips. Three (3) Month Limited Warranty. Easy install. Plug n play. Sound good. Considering adding sound insulation behind the speaker to stop the bar from rattling. Great value for money. Not saying they are brilliant speakers, just that for the price they are very good. 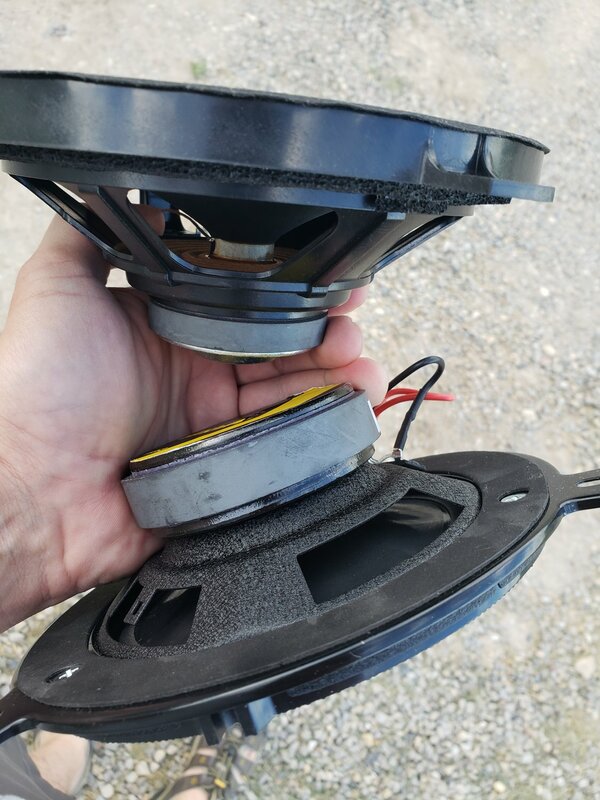 Much better than the OEM speakers. Heavier magnets and better cone's. Less distortion in the audio, from my aftermarket head.